Village Veterinary Clinic is a full-service veterinary medical facility, located in Rollinsford, NH. The professional and courteous staff at Village Veterinary Clinic seeks to provide the best possible medical care, surgical care and dental care for their highly-valued patients. We are committed to promoting responsible pet ownership, preventative health care and health-related educational opportunities for our clients. Village Veterinary Clinic strives to offer excellence in veterinary care to Rollinsford and surrounding areas. Please take a moment to contact us today, to learn more about our veterinary practice and to find out more information about how Village Veterinary Clinic can serve the needs of you and your cherished pet. Dr. Mike grew up on the family dairy farm in central New Jersey. He received his degrees from Michigan State University. After practicing in several clinics around New Hampshire, he and his wife, Ann Lee Hussey, LVT, established Village Veterinary Clinic in 1984. As an active member of the Rotary Club of Portland-Sunrise, he enjoys volunteering in the community and the worldwide projects that Rotary International brings to the table. He also enjoys bicycling, fishing, golf and motorcycling. He has shared his home in South Berwick, Maine with many pets over the years and more recently with his Labrador retriever, Parker, and feline friend, Elliott. Tammy grew up in Boxborough, Massachusetts. Her first job was job was at a boarding kennel for cats and dogs and she's been working with them ever since. She received her AS in Animal Science from the Thompson School of Applied Science at the University of New Hampshire in 1992. She started working for Village Veterinary Clinic in October of that same year. She enjoys watching the Red Sox, playing pool, spending time with family and traveling to warm places. Once upon a time she and her husband, Eric, had a small zoo of 5 cats, 3 birds, 2 dogs, and 5 fish. They currently have four cats, Orion, Keeper, Alice, and Flipper and a large saltwater fish tank. Becca has worked in the veterinary profession since 2005. She graduated from New Hampshire Community Technical College in 2007 with an associate’s degree in Veterinary Technology. In 2009 Becca joined our team here at Village Veterinary Clinic as a Veterinary Technician. She loves her job and the opportunities it provides to not only help animals in need but to be an active part of the community. When she isn’t in the office, she enjoys spending time with her husband, David and their son Tristan. Like many veterinary professionals Becca has a few four legged family members as well. A Great Dane, Chilli, a small but fierce tabby cat Grace and a rather opinionated Siamese named Chung Lau. Lauren started her journey with us in 2013. She received her BS in Equine Management from Mount Ida College in 2007. She has been working in the animal care industry since graduating. Lauren has always had a passion for animals, both large and small! Lauren enjoys outdoor activities, especially horseback riding, and spending time with her husband, Adam, and their family. Her four-legged family members include: Sofi, a mixed breed dog that she found as a stray in Bulgaria whose favorite activity is going to the farm to help with the horses; Trooper, also another handsome mixed breed who likes to play with his buddies, including his cat friends, Ninja and Yeti. She also cares for/fosters a horse named Taz. In 2006 Christin graduated from New Hampshire Community Technical College, now Great Bay Community College, with a degree in Veterinary Technology. She received her license in Maine in 2008 and was certified in New Hampshire in 2017. After working at a general practice while going to school, her passion for surgery led her to work for two busy veterinary referral hospitals. She was a surgery technician for four years and although she enjoyed the excitement of surgery and emergency medicine, she missed the relationships with clients. She has been back working in general medicine and is excited to be a part of our team now. 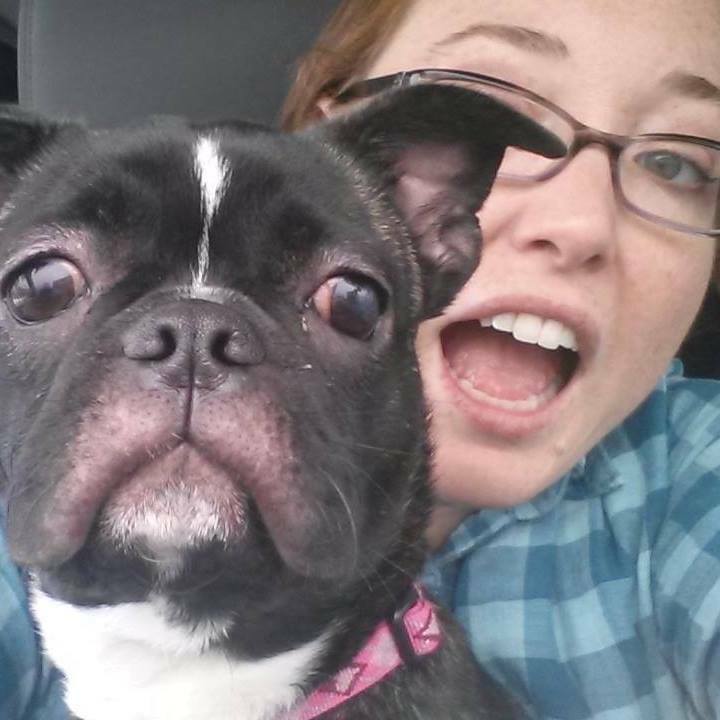 Christin lives in Rochester with her husband, two children, and their naughty, but extremely cute "Bug" (Boston terrier/pug mix), Nibby. She enjoys traveling, being outdoor, and spending time with family.